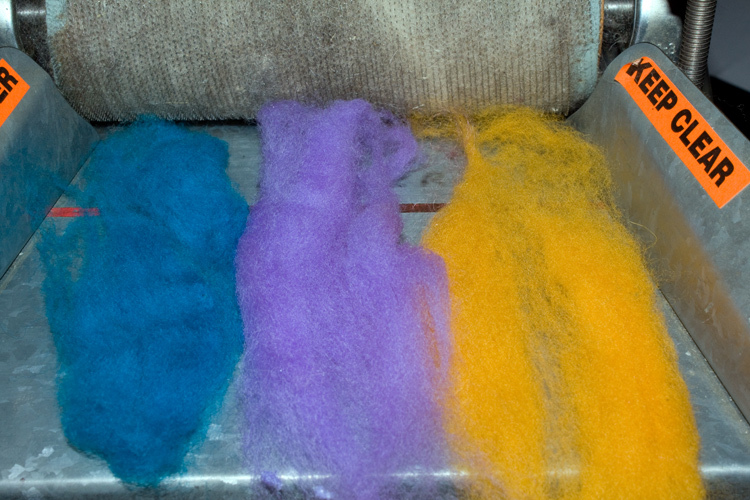 When I have washed, carded, woven , dyed, crocheted, and spun as much as I can possibly do when getting ready for SAFF in October, I relax and toss little bits of fiber/color that aren’t enough for my usual four ounce offerings onto the carder and card up itty bitty batts. Doff off and roll into a bird’s nest.. Gather up an assorted bunch and toss them in a bag to sell as “itty bitty batts”. They are fun to spin or felt. Sometimes I start blog entries and there is never enough there for a complete blog entry. So this is an itty bitty blog entry. It was free day at Tallulah Gorge Park on a rare sunny day when I was coming home from the dentist and passed by. 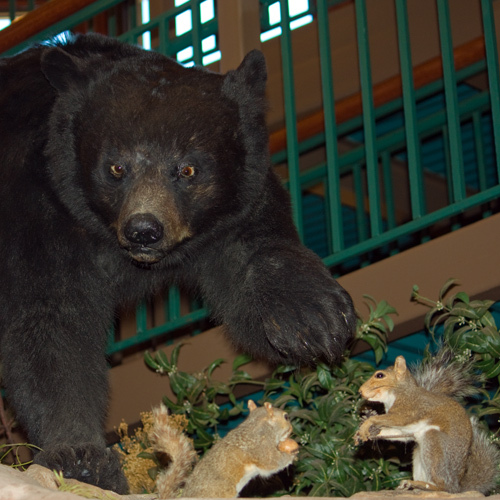 I don’t have any problem with stuffed dead animals at the park museum. But, I gotta say … can you conceive of two squirrels busily eating acorns with a bear hovering over? 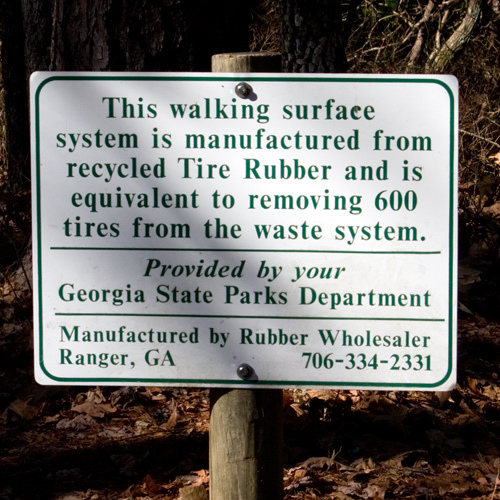 The park does have primitive trails and a really scary swinging bridge, but if your knees are bothering you..
walking on this stuff makes you feel like dancing. 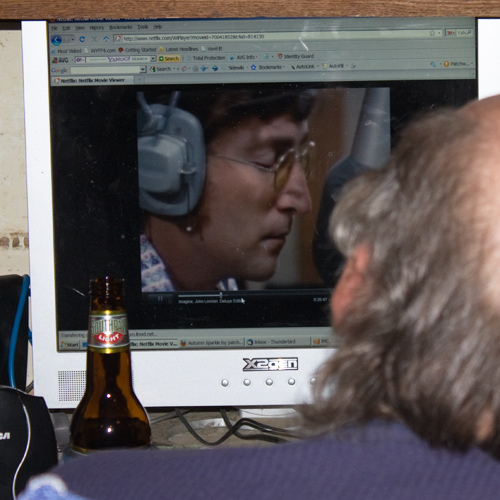 I’ve created a monster ..
Dave has always refused to touch the computer until I told him about music on netflix and the Honeymooners on youtube. Now I have to tell him to turn the computer off when he comes to bed. 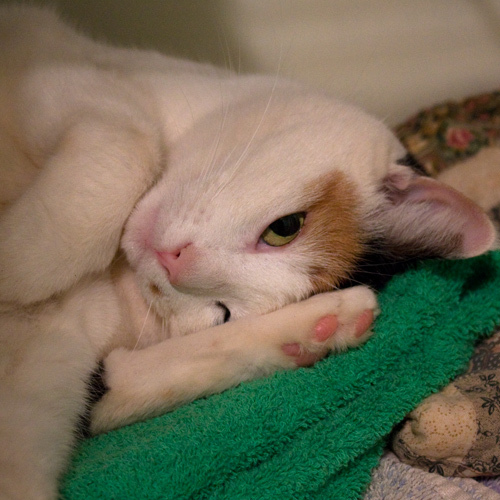 Dorothy has a new bad habit of sleeping on our towels. I love enchiladas and I hate giving leftovers to the dogs – they don’t mind. My new favorite recipe for leftovers is enchiladas. I pretty much always have flour and corn tortillas around or the ingredients to make them, but don’t stock up on canned sauces. This is my favorite “make do with what you have” sauce and it’s easy to remember. 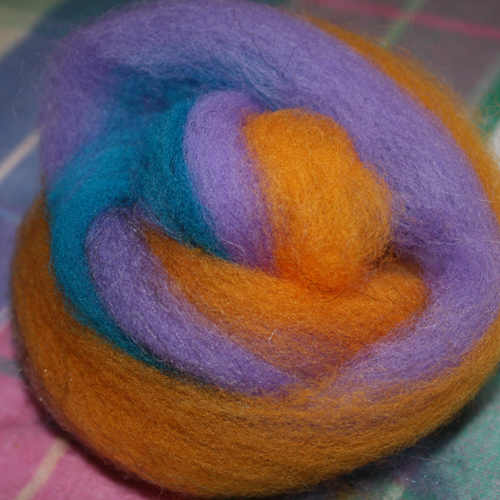 This entry was posted in Family Stuff, Fiber Happenings, Jacob Sheep. Bookmark the permalink. Love the itty bitty bats!